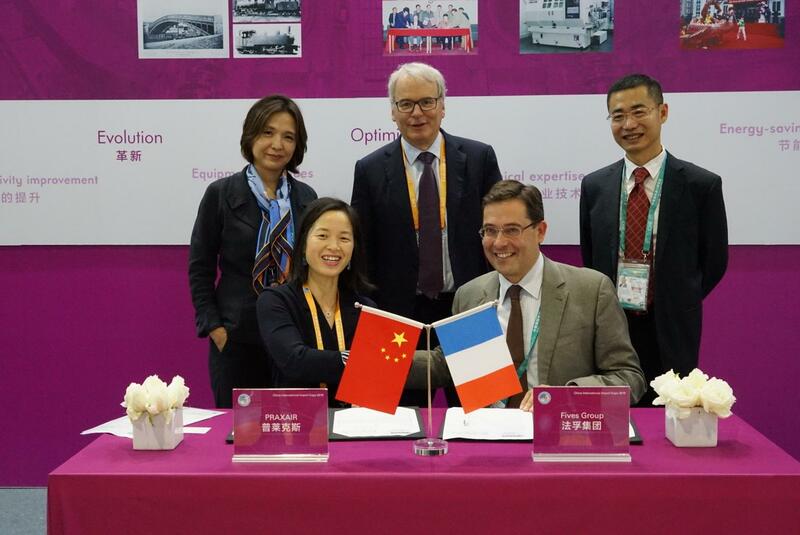 Lucy LEE of PRAXAIR and Frédéric THRUM, Chairman of the Cryogenics | Energy activity, in the presence of Michelle SHAN Country Director Fives China, Frédéric SANCHEZ Chairman of Fives Group’s Executive Board, and Jun ZHOU Fives Cryo Suzhou’s CEO, officially signed this contract. In a competitive market, the Cryogenics | Energy teams won the contract for 30 heat exchangers with design pressure 100 bar, total volume 514 m3, for an industrial site at Qinzhou, China. The scope of the project is for 3 air separation units, each producing 2 700 tons-per-day of oxygen, for a coal-to-gas conversion process.